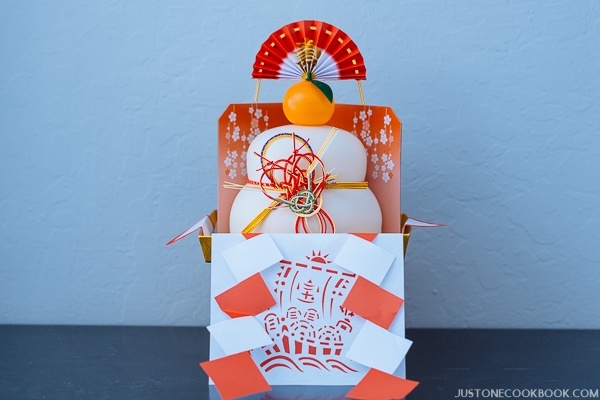 How do the Japanese celebrate the Japanese New Year? Learn more about the foods, traditions and various customs observed during this festive holiday. 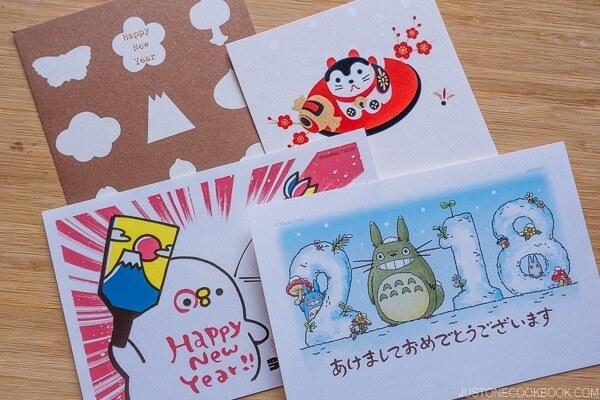 Japanese New Year is called shogatsu or oshogatsu (お正月), and it is the most important holiday in Japan. Since 1873 in the Meiji era, the official New Year has been celebrated on January 1st due to western influence, instead of the New Year based on Lunar Calendar (aka Chinese New Year). This annual festival comes with many traditions and customs, and each observation is imbued with special meaning. To usher in new beginnings, I am excited to share with you how the Japanese people bid farewell to the old year and welcome the New Year. December is also called Shiwasu (師走) in Japanese, and the kanji (the written word) literally means “masters/teachers run”. It basically implies that December is so busy that even self-composed masters/teachers are on the run. 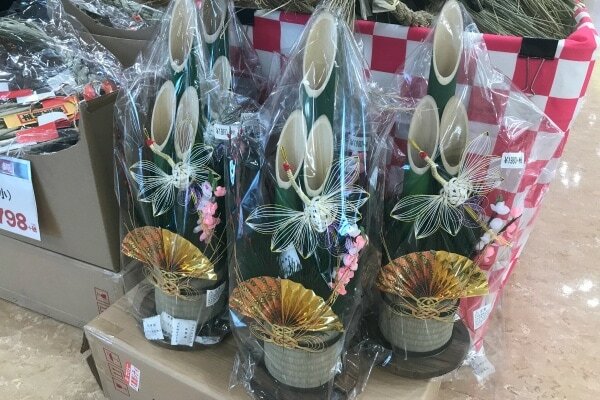 At the end of the year, people send out gifts called Oseibo (お歳暮) to their managers, customers, and teachers to express appreciation for the whole year. Popular gift items also include fresh food (seafood, meat, and fruits), condiments, beer, tea/coffee, canned foods, desserts, and gift certificates. Before the companies shut down from the last week of the year to the first week of New Year, there are a lot of year-end parties called Bonenkai (忘年会), which means “forget-the-year party”, with colleagues and bosses. During the last few days of December, people meticulously clean their homes, offices, and businesses from top-to-bottom. This annual tradition is called Osoji (大掃除), “the big cleaning”. We believe it’s important to eliminate the dust, dirt, and clutter from the passing year and to welcome the Japanese New Year with a clean and fresh emotional state. 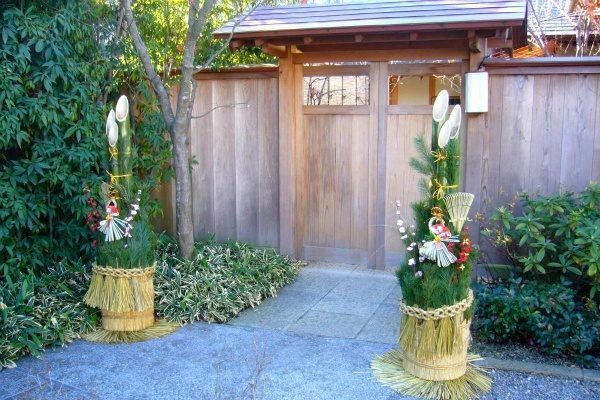 After the house is cleaned, New Year’s decorations like Kado Matsu (門松) are set up on both sides of the front entrance. They are made of pine and 3 bamboo stalks that are cut diagonally in different lengths. 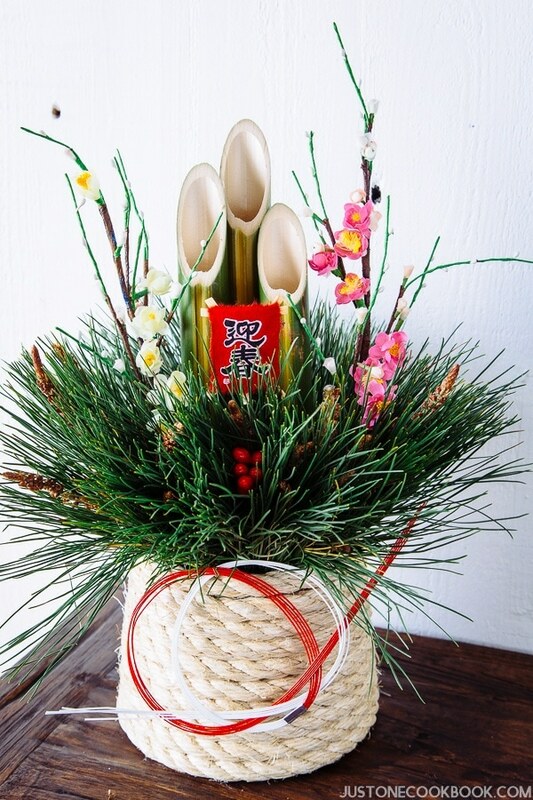 Pine boughs are symbolic of longevity and bamboo stalks are symbolic of prosperity. 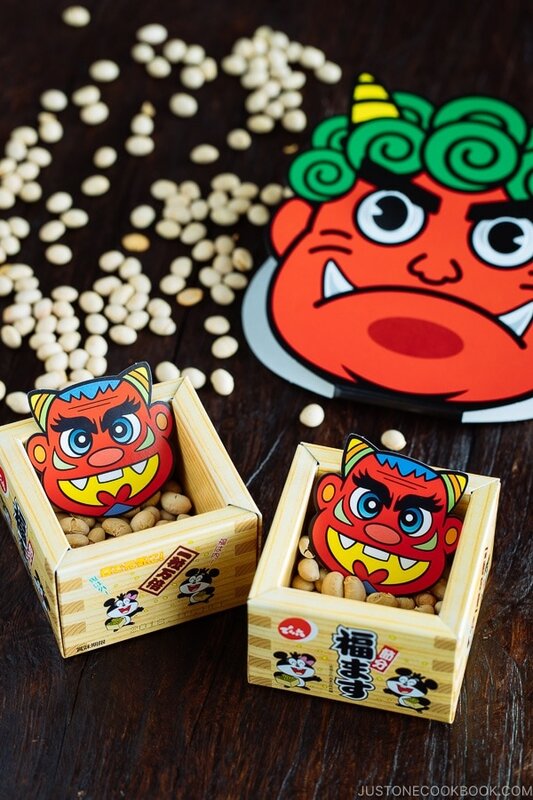 My local Japanese grocery store sells mini Kado Matsu decorations like this (shown above) but there are way more decoration choices in Japan. A traditional decoration Kagami Mochi (鏡餅), which literally means “mirror rice cake,” is placed inside the house. Kagami mochi is made of two round mochi, with the smaller mochi placed atop the larger mochi. Roundness of mochi represents harmony in the family and mochi’s stretchy texture symbolizes hopes for longevity. 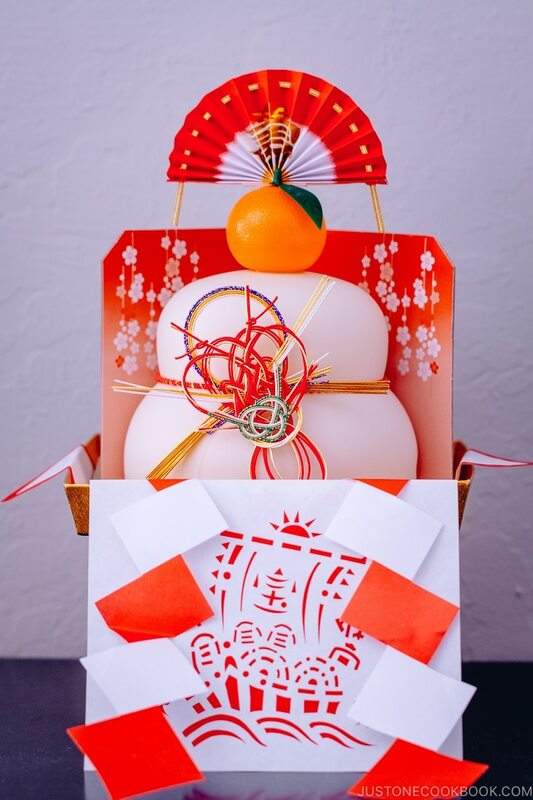 A “daidai” Japanese orange is then placed on top of the mochi, along with leaves and other decorations. 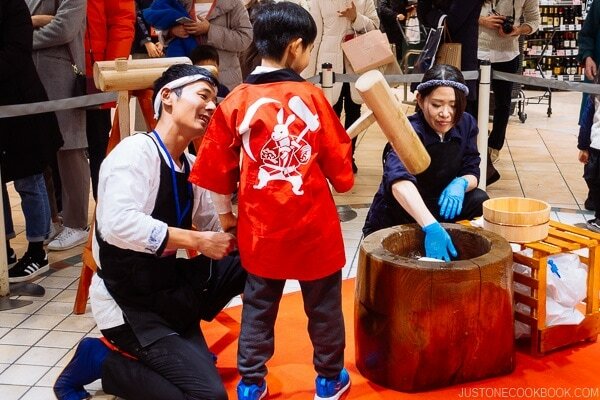 Mochi Tsuki (餅つき), or pounding rice to make mochi, is an important traditional event in preparation for the Japanese New Year and it’s usually performed at the end of the year. As you can see from the image above, the men and woman would pound the rice with a large wooden mallet called Kine (杵) while the man reached into the mortar called Usu (臼) between blows to moisten and turn over the rice. New Year’s Eve is called Omisoka (大晦日). The Japanese usually celebrate the New Year’s Eve and New Year’s Day with family as the holiday is equivalent to the American Thanksgiving or Christmas. When I was growing up, we usually spent the New Year’s day with my mother side of the family. While men in the family were assigned to deep clean the house, all 3 generations of women (my grandma, my aunts, my mom, and I) gathered in the kitchen all day long to make the traditional Japanese New Year foods known as Osechi Ryori (おせち料理) or Osechi (おせち) for short. 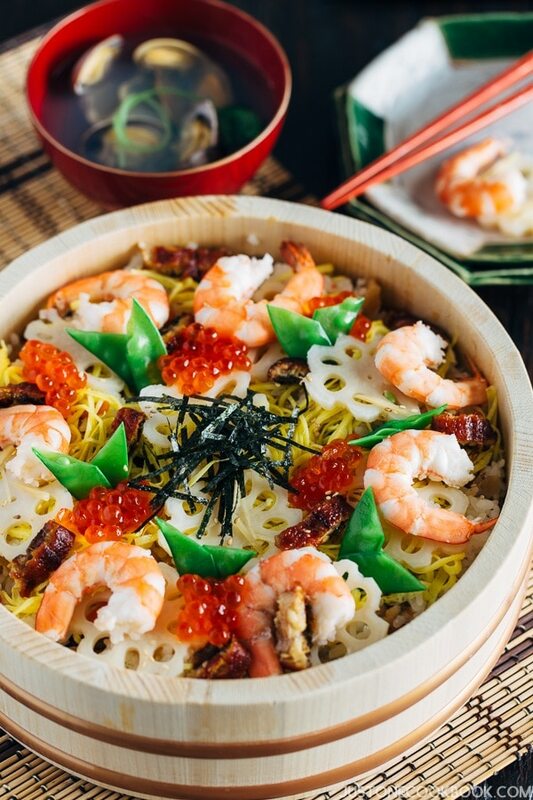 If you’re interested in making Osechi Ryori dishes, I’ve shared a delicious spread of recipes here. 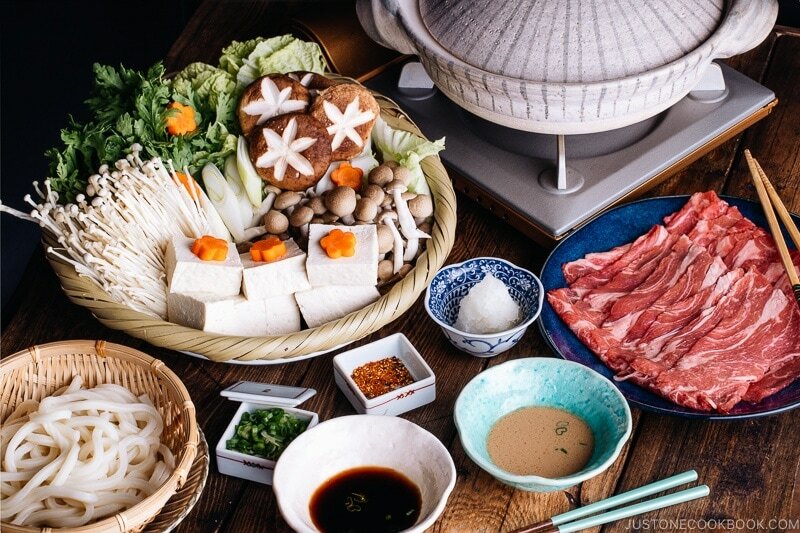 Each family has a different tradition for New Year’s Eve dinner, but the popular menus include sushi, sashimi, and hot pot such as sukiyaki (above), yosenabe, and shabu shabu (below). 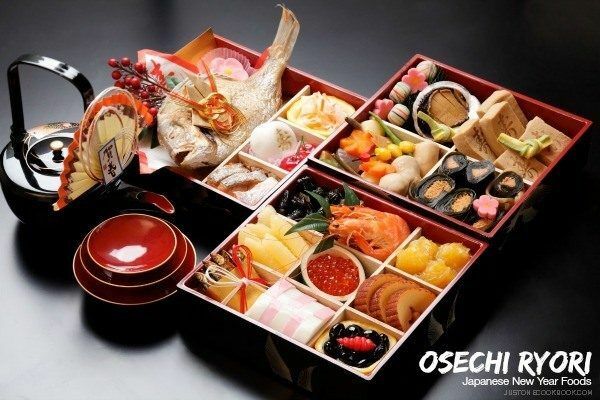 In some regions of Japan, people even start eating Osechi Ryori on new year’s Eve. My family usually prepared Sukiyaki or Temaki Sushi (Hand Roll Sushi) as the last meal for the year. At night, many people enjoy watching a hugely popular music contest on TV broadcasted by NHK (Japan Broadcasting Corporation). The show is called Kohaku Utagassen (紅白歌合戦) and it is a singing contest between Red (women singers) and White (male singers). They also have Japan’s most popular singers, from young J-pop singers to Japanese ballade “enka” singers, performing live on stage. At the end of the show, the audience cast in their votes for Red or White. 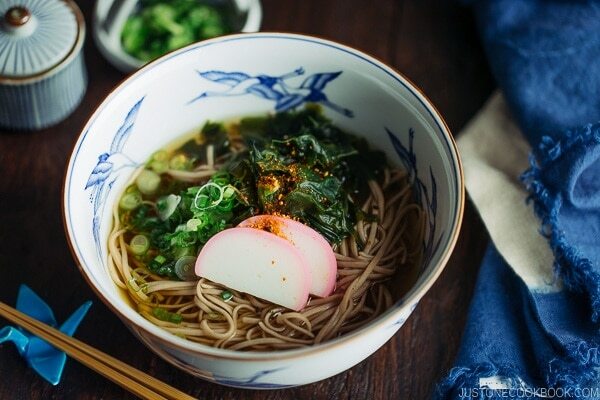 Before the year ends, the Japanese must eat Toshikoshi Soba (年越し蕎麦). 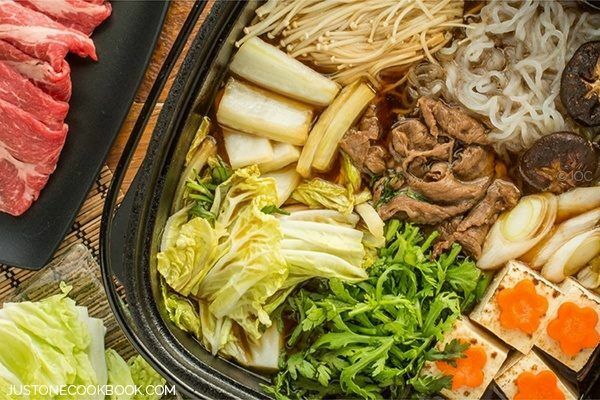 It’s auspicious to eat hot noodle soup because the long, thin noodles symbolize longevity. We used to eat a small bowl of soba as a snack while watching the singing contest. As far as midnight traditions go, the Japanese stay up till midnight to listen to the 108 chimes of temple bells, which we call Joya no Kane (除夜の鐘). 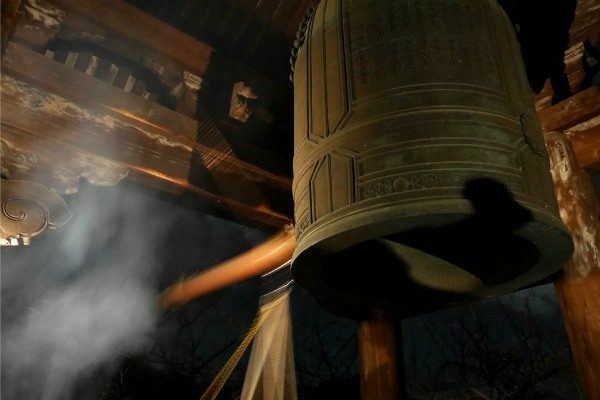 Just before midnight, temples throughout Japan strike their big bells 108 times. In Buddhism, ringing the bell 108 times is believed to help people getting rid of their evil passions and desires, and in return purifying their hearts for the upcoming year. The bell is rung 107 times on the 31st and once past midnight. Although Oshogatsu (お正月) means January, it is celebrated on the first 3 days of January in Japan. Most businesses shut down from January 1st to January 3rd, and families typically go back to visit their hometowns and spend these few days together. 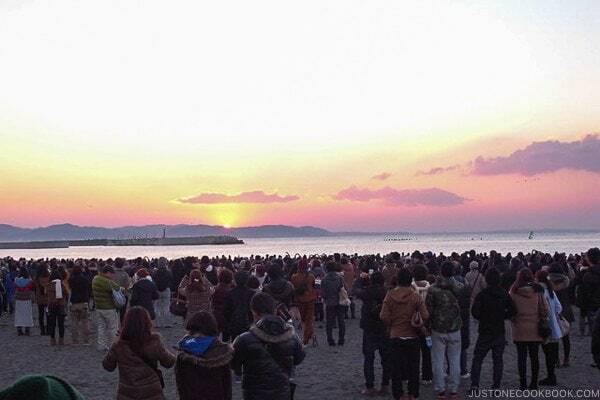 Some people get up really early to go to a popular scenic spot to view the New Year’s first sunrise, Hatsu Hinode (初日の出). In the morning of January 1st, family gets together to eat Osechi Ryori (おせち料理). 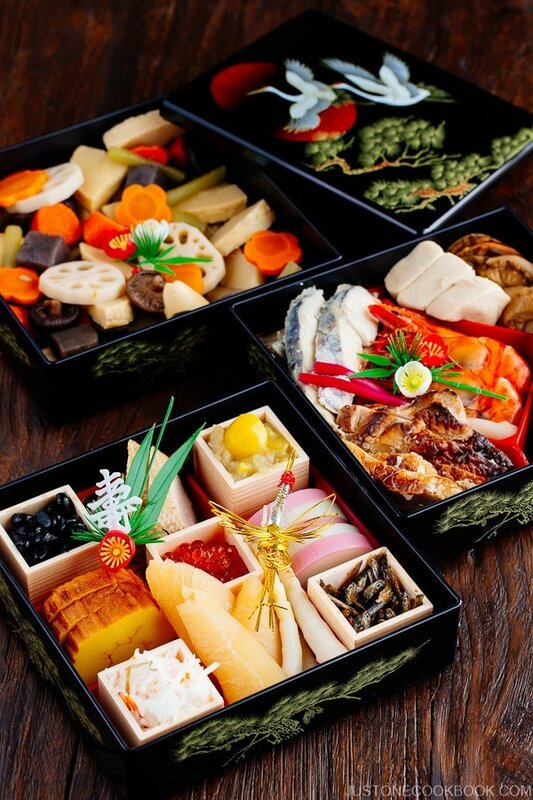 The traditional foods are packed in 2-3 tiered jubako boxes (お重箱). What kind of foods do we eat? Please read this post dedicated for Osechi Ryori. Along with Osechi, the Japanese also eat rice cakes called Mochi (餅) and drink sweet medicinal sake Otoso (お屠蘇) and a mochi soup called Ozoni (お雑煮). 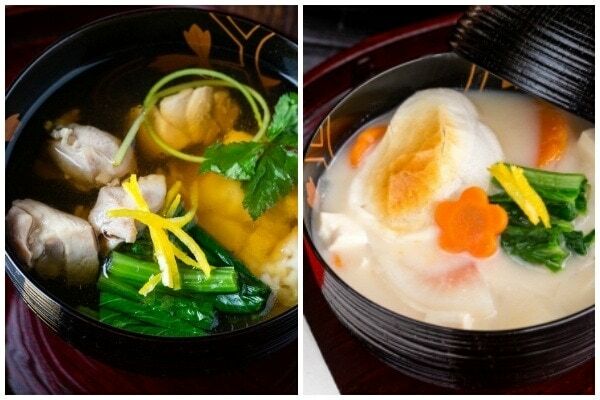 If you’re interested in making the mochi soup, I have Kanto-style Ozoni and Kansai-style Ozoni recipes on my blog. After the meal, the family get together to read Nengajo (年賀状), New Year’s greeting cards, which are specially marked to be delivered on January 1st. Nengajo usually have the Chinese zodiac sign of the New Year, as each year is represented by an animal. 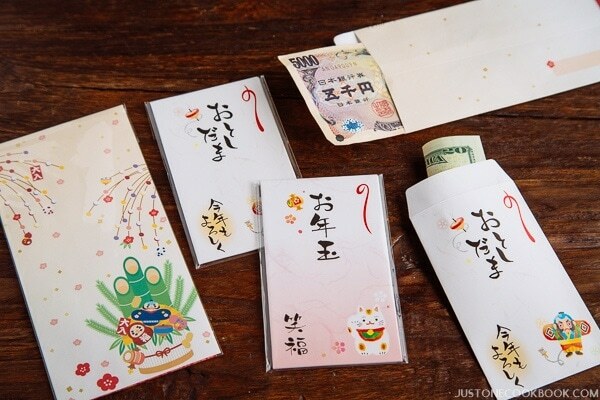 One of the exciting things for children on New Year’s Day is to receive Otoshidama (お年玉), a money gift in small envelope, from their parents, relatives or acquaintances. I used to look forward to visiting my dad side’s big family get-together where I received Otoshidama from my uncles and some of my older cousins. There are a few games that are traditionally played on the New Year. 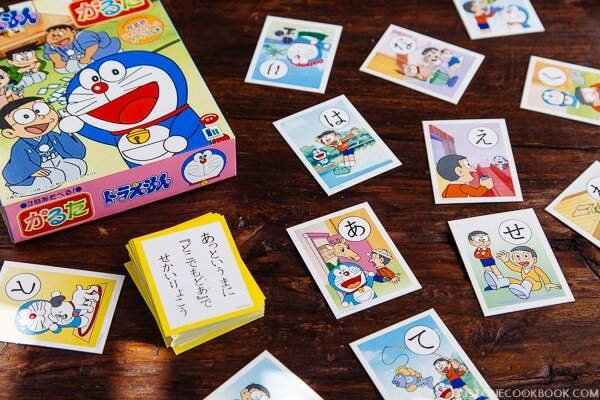 Some of my favorites include Japanese badminton with a wooden rectangular racket called Hanetsuki (羽根つき), kite flying called Takoage (凧揚げ), and a card game called Karuta (かるた) shown above. 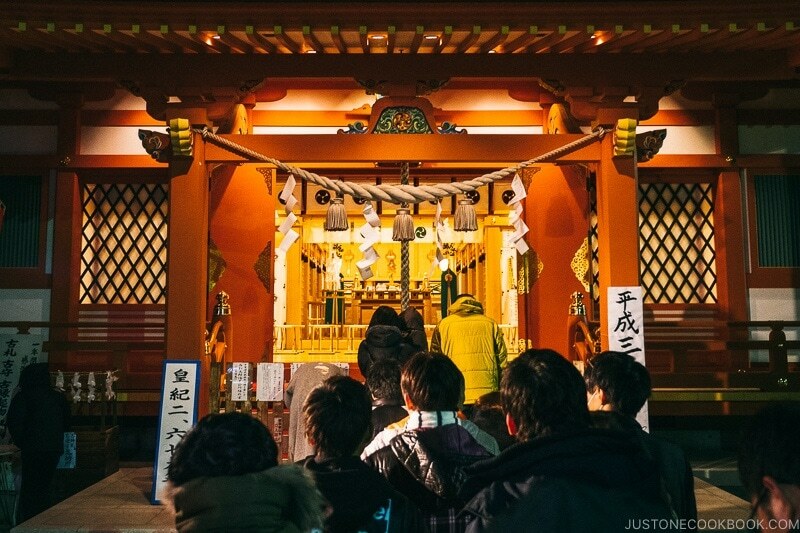 During the first three days of the New Year, the Japanese also visit a shrine or temple to pray for happiness and good luck in the coming year and this visit is called Hatsumode (初詣). A popular shrine like Meiji Shrine (明治神宮) in Tokyo can easily attracts several million people during the three days. Many women take this opportunity to dress up in colorful kimonos (着物) for their visit. 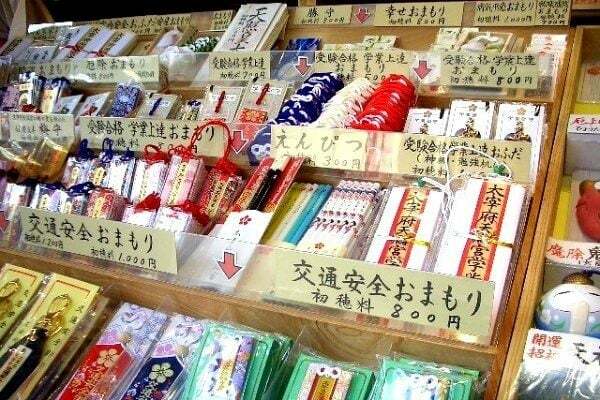 Visitors will also buy a good luck charm called Omamori (お守り) at the temple. It is kept as a protection from illness, accidents and disasters. Once the new year begins, you may see these blush pink mochi confections called Hanabira Mochi (花びら餅 “hanabira” = flower petal and “mochi” = rice cakes). It is only available in January and is served at the first tea ceremony of the new year. The semicircular mochi have sweetened burdock root protruding from both sides and white miso in between. Said to be a simplification of Hagatameno Gishiki 歯固めの儀式 (literally “teeth hardening ceremony”), it hails from the Heian period (794-1185). 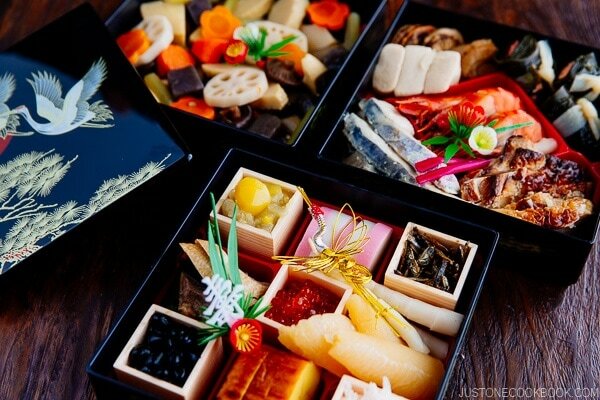 Hard foods such as wild boar, daikon or salted sweetfish were sandwiched between red and white mochi, and eaten by the Imperial Court to wish for a healthy and long life (with good teeth!). Over time, it took on the form we see today, the sweetfish replaced by the burdock root. The wagashi became known outside of Kyoto during the Meiji period (1868-1912), thanks to the Urasenke family (裏千家), a highly prominent tea school. 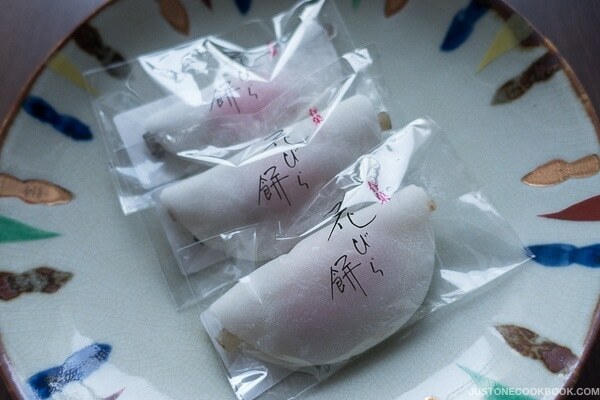 Compared to other wagashi varieties, Hanabira Mochi isn’t well known and for those who do, is bought than made at home. Now that you have learned how the Japanese celebrate New Year, I hope you have the opportunity to visit Japan to experience this special time of the year. I believe it will be the highlight of your stay. As a Japanese living overseas, I wish that the spirit of the Japanese New Year celebration will continue to be passed on to the next generations. It is truly a time where we gather to appreciate the many customs that are steeped in history. Thank you so much for a great post! I have enjoyed learning new recipes on your blog, but I especially liked learning about another culture that is different from my own. Happy New Year! Hi Elizabeth! Thank you so much for reading my blog! Happy New Year! Thank you so much for telling us with many details the end of year and the beginning of the new one in Japan. Never seen so well explained. Panier jp, 明けましておめでとうございます！ I’m so happy to hear you enjoyed this post. Thank you for reading! Thank you Nami for this post! It’s awesome to read about all these beautiful New Year celebration traditions! Yoi Otoshi O! This is one of my favorites post on this blog. Thank you for all the details. It’s so interesting lo learn about other cultures. Agreed! I’ve read about Japanese New Year before, but this post had a lot of traditions that were new to me. Such an interesting read! I live in Utah an hour from SLC. I am glad your family is enjoying our snow and skiing. Thanks for all you share on your blog. I lived in Japan for 10 years and one of the things I miss most is the New Year celebrations there. Wow! I can hardly wait to visit Japan myself next year. Hopefully I’ll be able to take in all the wonderful sites you have suggested. Happy New Year, Nami! All the best for you and your family in the coming year! Hi Jerry! How exciting! Which month you’re visiting? Hope you have a wonderful trip! I’m excited for you!!! Happy New Year, Jerry! One of my favorite posts to read of any blog ever! Learned a lot, and craving all the oishii food. My mother did a lot of these traditions while we grew up in America and I imagine it made her happy and nostalgic for Japan to do so. Hi Julie! Aww I’m so happy to hear you enjoyed reading this post. Thank you!!! Your mom is wonderful. I have to keep up with the tradition for my children like your mom! 🙂 Happy New Year to you and your family! What beautiful traditions Japan has to start the New Year. Thanks for sharing this insightful post. Happy New Year to you and your family, Namiko. Thank you for reading my post, Elizabeth! Happy New Year to you and your family as well! Nami, I remember reading that the New Years foods are eaten for three days & no cooking is done during that time. Is that true, or does it depend on the family? Or maybe it is an old tradition but isn’t as strict now? What a fantastic present you have given us!! Thank you!! Most of my trips to Japan have been in spring and autumn and much of this is totally new – well, some of it different, but much of it logically the same . . . * smile* to each their own . . . my parents taught me to ‘hold back’ on the excesses of NY ‘partying’ . . . no staying up till the morning, no excess alcohol . . . and a full working day on the 1st: your life for that year would take on the same ‘face’ 🙂 ! Actually it works for me . . . Am so glad your skiing holiday has worked out so beautifully: and a very happy New Year to you and yours . . .
Hi Eha! You traveled to Japan during the BEST season! 🙂 Yet, Japanese New Year is something special that it’s best to experience in Japan. 🙂 I still can’t adjust to American “normal January 1st”. It’s so strange! The New Year’s Eve was to spend in the living room (inside Kotatsu) with family and watch the TV shows… such a big difference in the US where everyone goes out to party. Happy New Year to you and your family Eha! Nami.Our family still celebrate shogatsu here in western Nebraska . 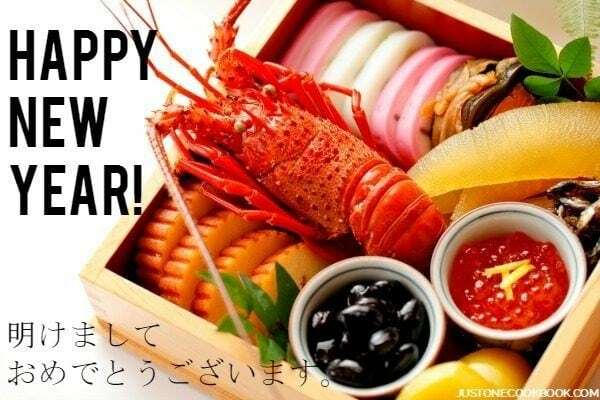 Do all the traditional foods,make mochi but now with a machine,have ozoni,sashimi, tako,sushi,Kani,ise ebi,sake,kuromame, etc.HAPPY NEW YEAR. Hi Fred! How wonderful to hear you celebrate Oshogatsu in Nebraska! You even make mochi? Wow… I wish I could make fresh mochi… I must make mochi machine… fresh mochi is the best! I’m so happy you keep the Japanese tradition. I need to keep this tradition alive, too! Happy New Year to you and your family! It is really a pleasant reading for all off those happiness in your life, Nami. Make me recall lots of good things in my life too, food ,family, friends, and all the other little happiness. Wish you happy new year and wish everything goes great in the following year. Thank you so much for your sweet words, Elaine! Happy New Year to you and your family! Thank you Ramona! Happy New Year to you and your family! Thank you for all your hard work this year. You have helped me improve my cooking skills! Hi Judy! I’m so happy to hear that. Thank you for reading my blog! Happy New Year! Hi Nami, Happy New Year to you and your family. All the best in 2016! Happy New Year to you and your family, Yen! Thank you Stacey! Happy New Year to you and your family! Thank you for explaining! 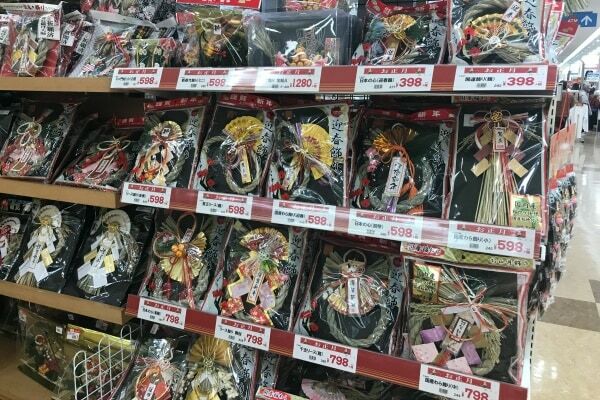 It is very interesting read about the Japanese new year. Thank you for reading, Winnie! Happy New Year! Have a Prosperous and Happy New Year to you Nami and your family! What great traditions and delicious foods surrounding the New Year! Amazing! Hope you had a wonderful holiday and all the best for a very fruitful, happy, and healthy 2016! Happy New Year to you dearest Nami! I so loved reading your fascinating post and can’t wait for my daughter Lucie to read it too – now 13, she’s obsessed with everything Japanese and is even trying to teach herself some words so you now have another fan, to say the least. Thanks for sharing all of your wonderful recipes but also introducing us so well to a culture that we’re looking forward to appreciate finally one day by going to your fabulous country – we just need the right amount of time! All the best to you, your lovely family, and to your much continued success, my friend. Happy New Year! What a fun post — learned so much. Thanks! I’m so late to this post…. busy during holidays… but Happy New Year, Nami! Thank you for sharing all the Japanese traditions and food customs with us! 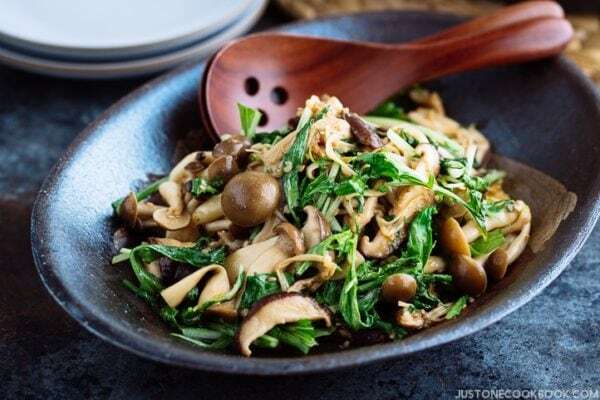 Thank you for your blogs and wonderful step by step recipes with photos. 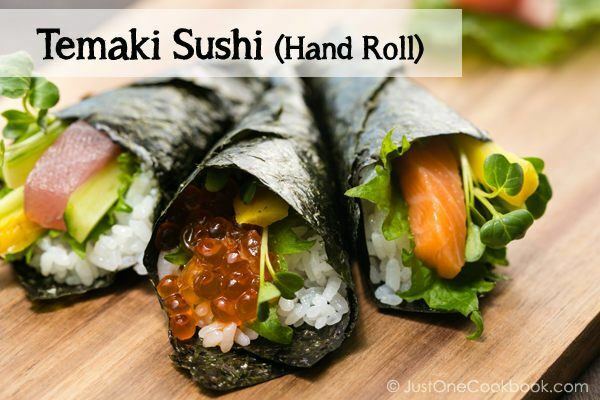 I am a Sansei, and have enjoyed learning more about my cultural heritage and Japanese cooking from you. Although my grandparents were from Hiroshima and Sendai, your recipes taste very much like my mother’s. Happy New Year Nami!!! I hope you and your family have had a wonderful holiday. Looks like you’ve been spending a lot of time in the kitchen. 🙂 All of this food looks awesome!!! So different from the way we celebrate and so much healthier I’m sure. Looking forward to more wonderful food from your kitchen. Happy New Year to you and your family! 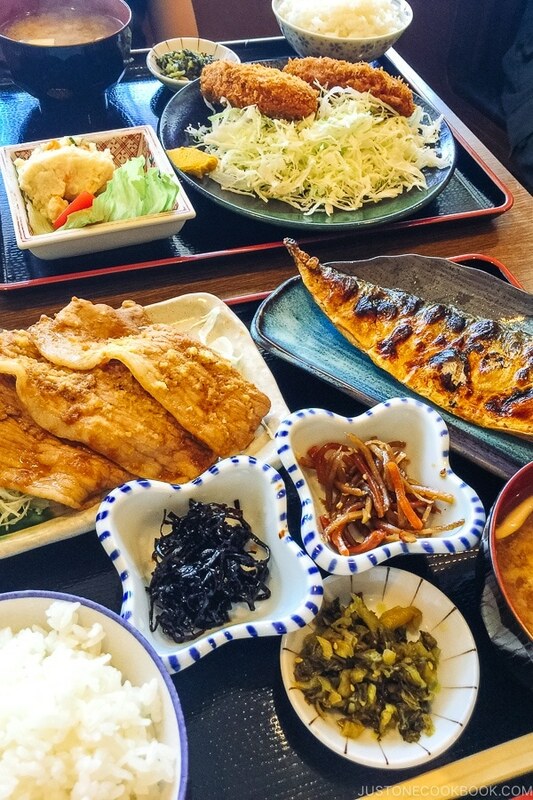 Thank you for sharing this lovely post on the many Japanese traditions and celebrations during this time of the year. It sounds so elaborate and festive. In recent years, I have fallen into my own tradition of live-streaming bits of Kouhaku Uta Gassen as I wait for the new year to arrive on the States-side. Have a lovely time in Utah on the slopes! My absolute FAVORITE time of the year! Amazing exploitation of O-Shogatsu! Thank you so much! Ah, that explains why the supermarket kagami mochi has always looked a bit ‘plasticky’…! Thank you for demystifying yet another aspect of our Japanese supermarket experience, Nami : ) Enjoy the rest of your week!